Publicity material stated that the Piggins engines were made and finished in the company plant at Racine, and this was probably true of the truck axles too. The chassis, suspension, wheels and fittings might have been obtained from outside suppliers, with assembly done at Racine. Aluminium was extensively used in the truck bodywork, and perhaps in the car too, possibly because it was easier for a small plant to form. The original car (in the modern sense of automobile: Piggins Brothers used the term by itself to mean a passenger vehicle, but "commercial car" to mean a truck) had button-upholstered armchair-style seats. 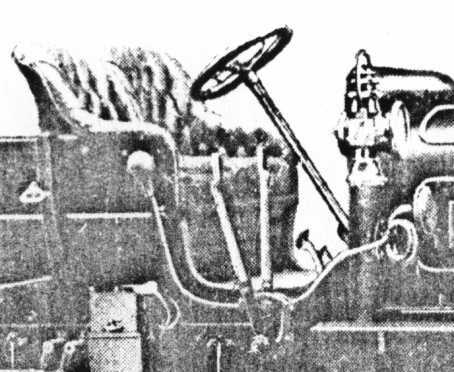 Its controls, visible in the photo at right, comprised three pedals, a big spoked steering wheel and two levers, one of which is a gear-lever of the type common on early cars. The other may be a second gear-shift or the hand-brake. A close look shows that accessories included a klaxon with a rubber bulb and a long twisting pipe ending in a horn opening. The side-lamps were made of brass and would have burned liquid fuel. As far as is currently known, no specimen of a Piggins car or truck has survived, so it is not possible to assess the vehicles' driving qualities, but their road behaviour would have resembled that of modern cars, with rear-wheel drive and leaf-spring suspension on all four wheels. Both the cars and the trucks lacked modern comforts, with the driver required to hand-crank them to start. The controls would have been heavy and the vehicles had only basic protection from bad weather. Where the trucks are shown with occupants, they always had a crew of two. The heavy touring car was also probably driven mainly by employed chauffeurs rather than by owners, and would have required frequent lubrication and other maintenance. The car had a very long wheelbase, which would also probably not have been very manoeuvrable in city traffic: it was mainly intended for open-road travel. Even if a glass windscreen was bought for it, the occupants would have worn warm clothing and goggles as protection against the breeze. Photographs show that this car had right-side steering, which was common in the United States before the First World War. The newspaper account of the Solomon Haas car states that it was painted dark red and had a leather top and folding glass windshield. Haas had a chauffeur, and would have ridden with his wife at the very back, over the rear wheel. Haas was thrown out of the car on a rough road not long after he bought it, but it is not recorded that the car suffered any damage in this early accident.